Confidence takes many different shapes. Some people learn confidence while they are young and others can take years to gain confidence. At Hot Ground Gym®, we can teach your child a variety of things, but it comes down to you and your child to allow those skills to really foster themselves. After all, you are with your child far more than we are. Our kids fitness gym can help your child feel more confident. We help to develop skills such as teamwork, leadership, and problem solving, which all assist to make your child feel much more confident about a variety of situations. Kids can feel very fearful or uncertain when they are faced with something they don’t know, but when they go through our obstacle courses that are for kids fitness, your child will learn how to solve problems head on and gain the confidence they need to treat fear as just another hindrance to overcome. For more information on our kids fitness gym, contact us. So how can you help to make your child feel more confident? What can you do to make your child feel better about themselves? We provided a few examples of what you can do to help your child feel more confident in their academic, social, and personal life. These skills will help your child feel better not just now, but for the rest of his or her life. 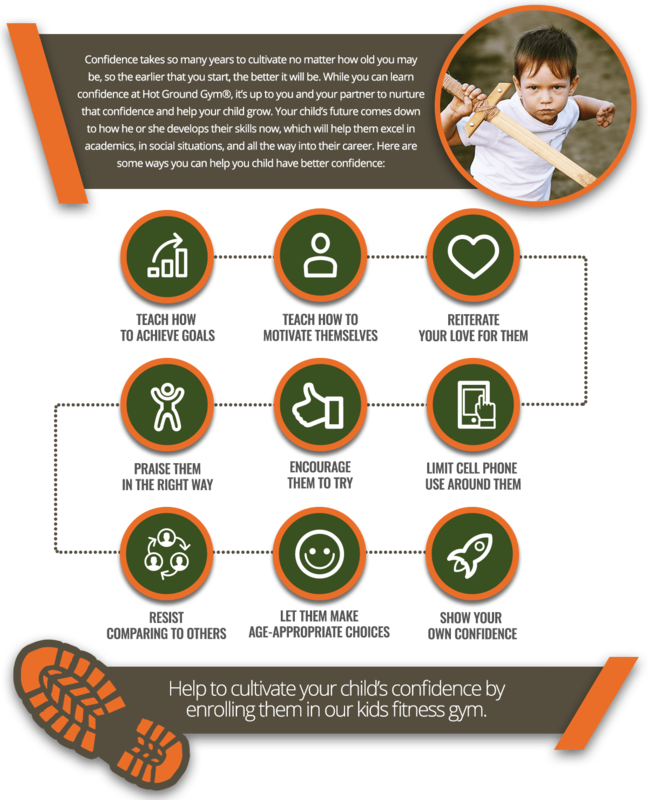 Hot Ground Gym can help your child feel more confident about themselves. We do this by creating a Junior Boots™ program that’s specific toward child development and physical fitness for kids. 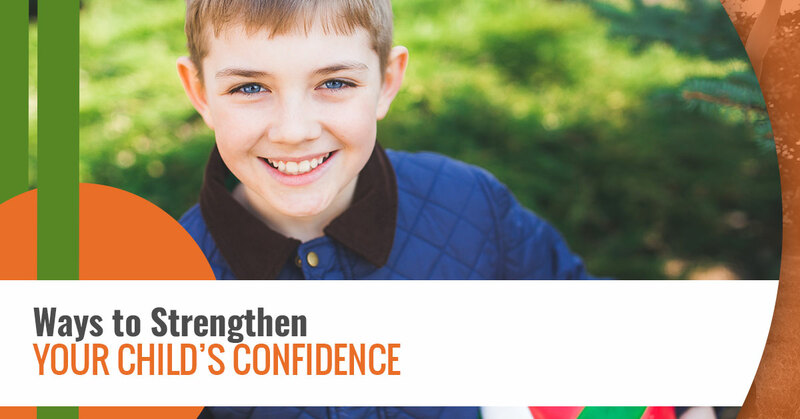 We have created the Five Pillars of Confidence™, which helps a child develop a strong sense of character and self-worth. Our Five Pillars of Confidence are the obstacle course fitness, problem solving, leadership, teamwork, and discipline. Another way that you can boost your child’s confidence is by promoting positive self-talk. Positive self-talk helps not only your child, but also you to engage in positive self-talk. Instead of putting yourself down or accidentally teaching your child about damaging chatter, you can create a positive affirmation that you and your child can say every morning to get pumped up for the day. Instead of focusing on cant’s and things you’re terrible at, focus more on what you can do and what you’re good at and then allow that to transpire to your child. There’s nothing better than spending time with your little one. Take some time out of your busy schedule to make some special time to spend with your child or children. If you have more than one child, try spending time one-on-one. Confidence and self-worth can be attributed to love and acceptance and you’re the first person that your child learns that from. Confidence is key when applying for jobs, cultivating relationships, and going through other day-to-day activities. If you’re interested in learning more about the skills we can help your child develop, contact us today.